C CASA is the culmination of owner Catherine Bergen’s passion for artisan foods, combined with her love of Latin cuisine. C CASA’s menu delivers unique tacos, house-made white corn tortillas, chili-rubbed rotisserie meats, fresh salads and salsas, and interesting sides. All food is made to order from fresh, seasonal ingredients, and sustainable meats and fish. 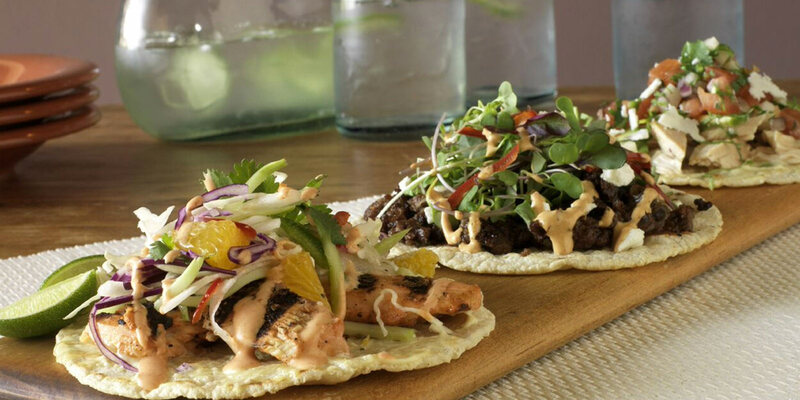 Menu items include a seasoned ground buffalo taco or a duck, spinach, and goat cheese taco or a crab taco. C CASA salads include a mixed field greens salad or a baby spinach and corn edamame salad. Nacho’s Not! reinvents the idea of nachos with freshly made white or black beans on a bed of house-made tortilla chips, topped with goat cheese, pico de gallo and chippotle aioli. C CASA also offers craft beers and boutique wines, and its menu is gluten-free. C CASA is open daily for breakfast, lunch, and dinner.